"As I pulled through the busy streets of Belfast in a taxi, I heard her voice. I love you, Mummy. I love you. And then I saw her, clear in my mind. Her chocolate-brown eyes curved with laughter, her thick black hair swept across one shoulder. She was turning to me, the white sheen of a curtain brushing against her face. The hole is gone, she said smiling. I had been reading The Hundred Year Old Man who Climbed Out of the Window and Disappeared and I just couldn't finish it, and on the day I decided to call it quits approval came through on Netgalley for this little book. It is a novel told from two view points. 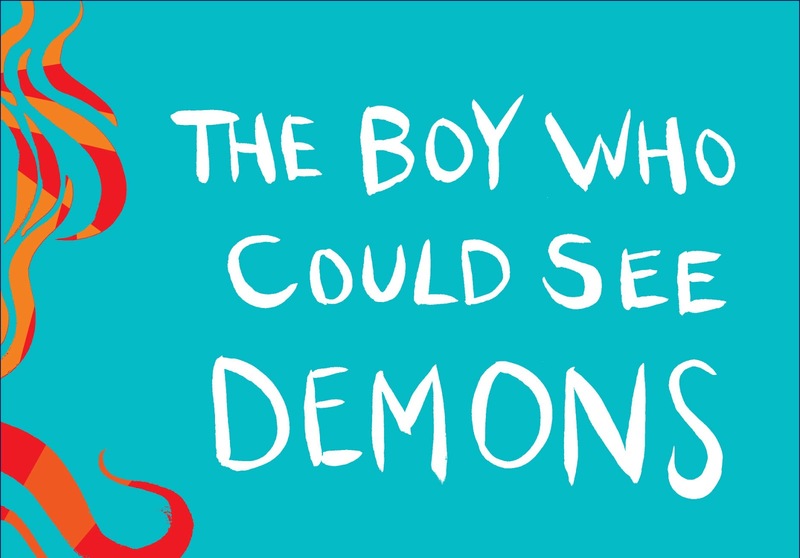 We have diary extracts from the fantastic Alex, a young boy claiming to see a 9000 year-old Demon called Ruen (and his pals), and the thoughts and opinions of his child-psychiatrist Anya. Alex is a bodacious and charming child. He lives with his clinically-depressed mother (Cindy) who self-harms and regularly attempts suicide. Because of his experiences he is alienated by his peers, and has no friends of his own age. His only friend is a 9000 year old demon who comes in four different shapes. An old man, a child, horn face and a monster. Ruen has told Alex that the demons that lurk in his house are there studying him, because Alex is not affected by them like other humans. Alex and Cindy live in a run-down house, and Alex wears the clothes of an old man who lived in the house previously - things like old too-big suit jackets and bow-ties. Anya, the psychiatrist is an assertive and successful doctor. She is serious about her work and his highly professional. Anya though is still mourning over the loss of her daughter who commit suicide at the age of twelve, four years before. A social worker invites Anya in to Alex and Cindy's case, and Anya finds it hard not to take the case to heart... especially as she suspects that her own daughter and Alex are suffering from the same medical condition. The story is fast paced, addictive and will completely sweep you away. Some pieces of prose are just so beautifully executed that they can catch you breath. 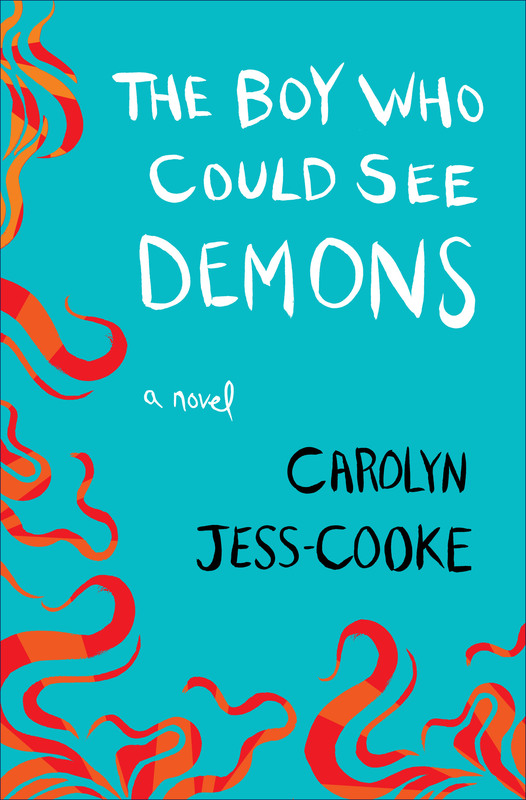 Carolyn Jess-Cooke sets this story with a backdrop of Belfast. The Troubles is a recurring theme throughout the novel, and it is sensitively explored. I believe I could not give Cooke enough credit for how she explored The Troubles within this novel. Y'see there was nothing judgemental about it, not even a political stand-point. Instead we see The Troubles both through Alex's eyes and Anya's. At the same time it is not the main theme. It is not bigger than the story. It is in the background and I imagine it would have felt that way living in Ireland at the time. That something wasn't quite right under the surface though everything seemed to be going on as normal on the surface. It also explores the idea that even when The Troubles were over, children were still traumatised by it because their parents not only lived through it but were also changed by it. Ruen plays a very uncomfortable part in the novel. He is Alex's only friend but he is also eerie and Alex is both afraid of him and in need of him. Ruen promises Alex things constantly and takes credit for good things that happen to Alex. This leads to Alex slowly becoming tempted in to things by Ruen but it is a slow decline, and his giving-in to the demon's suggestions are always done out of self-sacrifice and love for others. The story, as a journey is a magnificent one. I enjoyed it thoroughly. Unfortunately the ending was just absurd. Whilst I was sure I would five-star this book, unfortunately the ending flopped and made me a little frustrated. So we're taken through this absolutely AMAZING whirlwind psychological adventure. We have this charming boy called Alex who we're not sure if he's mentally ill or if he's truly speaking to a demon. On the other hand we have this dedicated and pretty awesome psychiatrist who is desperately wanting to help Alex and Cindy. We're following, we're in the grips of it. Ruen is freaking us out a bit by now, he's actually telling Alex that he's gotta murder Anya and how he has to do it. We're completely entranced. We watch as Anya slowly starts dying and then suddenly she wakes up in the next chapter. We're then told... yes... it's revealed to us that actually Alex, Ruen and Cindy don't even exist and some how Anya is a schizophrenic doctor who actually hallucinated the whole lot of them and well... it all didn't happen! Yes. Cooke pulled an Alice in Wonderland on us. I was outraged if I'm honest and so disappointed. Y'see, it came out of the blue. I don't feel that there were enough hints through the book to make me go 'awww... yeaaah I get it' at the end. Instead I just felt that I had just finished reading a story where the novelist became so entangled that they brushed it all away with '...and then I woke up'. I was gutted to say the least. I was waiting for a big reveal... and it was big alright, it was just the wrong type of reveal. I had thought I was reading a book about the paranormal, and although I LOVE the idea of exploring mental-health and schizophrenia, I still wanted an aspect of the paranormal at the end of the book. I couldn't give it five out of five I'm afraid, though the journey itself was worth it, the end was such a let-down that it ended up knocking the rating. I thought this was a good read- the writing was surprisingly light despite the dark theme of the novel. I feel I can better appreciate how important and un-addressed schizophrenia is in children. I especially like how many questions are left un-answered, because it emphasizes the sometimes inexplicable nature of mental conditions, the lack of black and white, and the merging of our world with a paranormal one that many desperately try to force explanations on. Oh Orisi... how do I put into words my absolute deflation at that "reveal". Let-down doesn't come close, but you know what? I'm more angry at myself! It's so cliched and over-used and yet I didn't for second think such a wonderful book would resort to it. AND. IT. DID. I'm angry I didn't see it coming. I'm angry at the plot holes - (Err, why is she imagining Ursula as thin and blonde?!) I'm just all round annoyed. Random House made the author change the ending from the British version! I'm searching for the ORIGINAL ending, which, I'm sure, is as good as the rest of the novel. Why do publishers think they know better? They should let it sink or swim on its own merit.